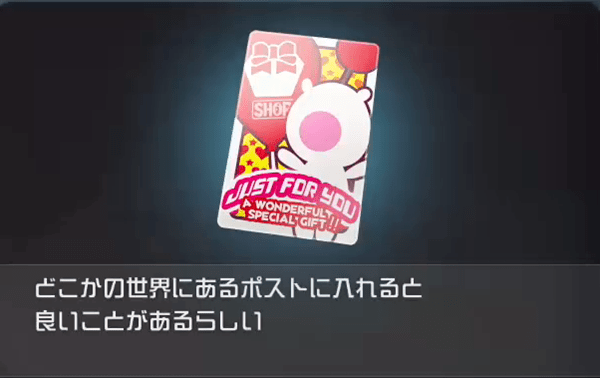 Information on the Moogle Shop Postcard in Kingdom Hearts 3, including how to obtain it and where to post it in the game. Next to the Moogle Shop at Twilight Town. There is 40% chance of getting a postcard every time you purchase something. Price is not a factor. You can buy a potion or a panacea then close the store and you can farm them as such. I went to every world and spend 500 on the moogle and got a postcard for every single one I visited. I happen to get another post card, but I cant remember where/how.